Formidable Pro (Formidable Forms), roughly speaking a form builder WordPress plugin, is in fact a powerful data management tool for WordPress and helps you out displaying post data in custom format. With the help of this plugin we can gather data into WordPress database and can edit, search or delete it at frontend. It should be no exaggeration to say that it is the most powerful tool to build different kind of data management websites with WordPress such as classified directory, school or office management, real estate directory or even WordPress post editing on front end. Additionally, no other plugin provides so much advanced drag and drop form builder like Formidable Pro. Formidable Pro known for its functionality had also been a name synonymous with affordability until they updated their pricing and licensing structure a couple of days ago. Though Formidable Pro's new pricing may still come across as reasonable when its unparalleled functionality comes to mind, yet seeing the extent of requirements of a developer, Formidable Pro is no longer affordable in the true sense of the word. The company has stopped offering unlimited license for new customers ( though it will not affect license terms of older customers) which is really a bit steep for those who have just started their business and don’t want to spend a lot of money on buying things. Update – Formidable Forms now offers unlimited site license for $399. Additionally, removing an unlimited site license may deviate many potential buyers from Formidable Pro and they start looking forward to a cheaper and unlimited license provider option. People generally buy Formidable Pro for its frontend data display and managing abilities. Now that Formidable Pro is no longer affordable for unlimited usage, is there any other alternative which could offer data management feature at an affordable price? I have come up with an equally powerful (or even more) frontend data display and management tool for WordPress. It is still affordable and you can use it on unlimited sites. All current and future addons are free for their customers. No additional fees. It's worth mentioning that Formidable Pro has started charging their customers for new addons (with $399 plan all addons come free). It is Toolset. A bundle of plugins and addons that can turn your WordPress website into a powerful data management application. Collect post custom data via CRED. CRED, a part of Toolset, lets you create advanced frontend data collection forms. You are free to add custom HTML to create form structure according to your needs. CRED gives you an option to generate form automatically, if you want to create a frontend posting for posts, pages or WooCommerce product posting form. All custom fields (created by you to add custom data and these fields may be text box, text area, dropdown, radio, numeric, repeating, URL, video, image etc.) and custom taxonomies are added to generate form automatically. 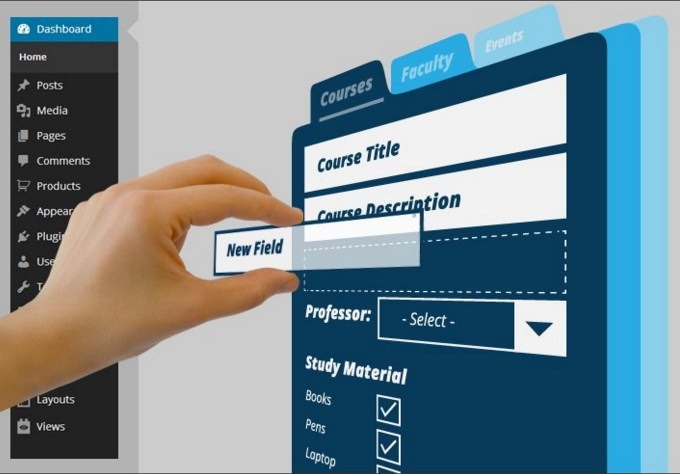 You have full control over form layout. Additionally, with the help of CRED, you can edit posts on frontend. Display post data such as post default data (title, categories, tags,) and custom field data in custom format. WP Views, a part of Toolset allows you to create advanced data views to display and filter post data on frontend. WP Views provides more advanced options than Formidable Pro to create frontend data display . You need not to set up advanced search form separately and you can create it easily at View builder panel. Unlike Formidable Pro, you have an option to filter data with Ajax and without leaving the page. It should be known that showing data in grid is not available in Formidable Pro. Comparison chart clearly shows that Toolset’s WP Views is far more powerful than Formidable Pro’s view builder and offers highly advanced features to display and edit posts at frontend. Access, a part of Toolset is aimed at controlling access to several features of Toolsets such as role based access to editing content and users. With the help of Access plugin, you can create new roles, assign custom capabilities to a role and much more. Formidable Pro too offers role based access to various features regarding forms and views but Toolset’s Access plugin seems to be one step ahead in giving lots of control on what users of different roles can do with different site features. in addition to integrating forms and views with post types, with Toolset’s WP Types, you can create as many post types and custom taxonomies as you want. You can assign different taxonomies for different post types. WP Types can create custom fields and user meta fields that are utilized in CRED to gather data in these fields. 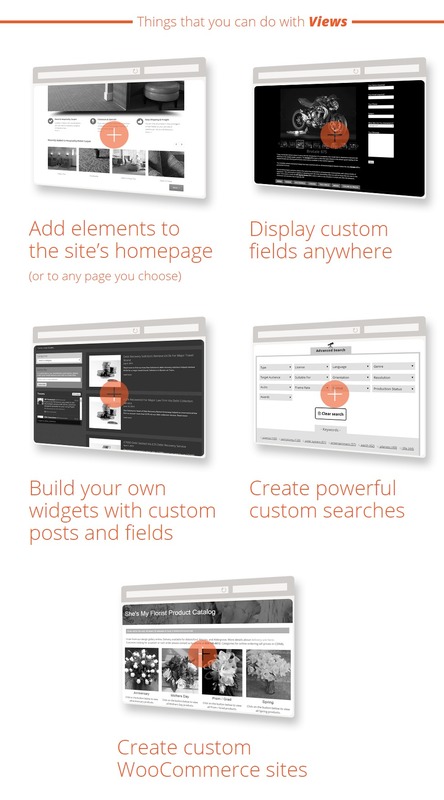 Formidable Pro doesn’t offer creation of custom posts, taxonomies or custom fields. It just offers mapping of custom fields in order to form fields. This is a good idea for a business directory or any kind of listing website where people pay your website for listing their stuff. 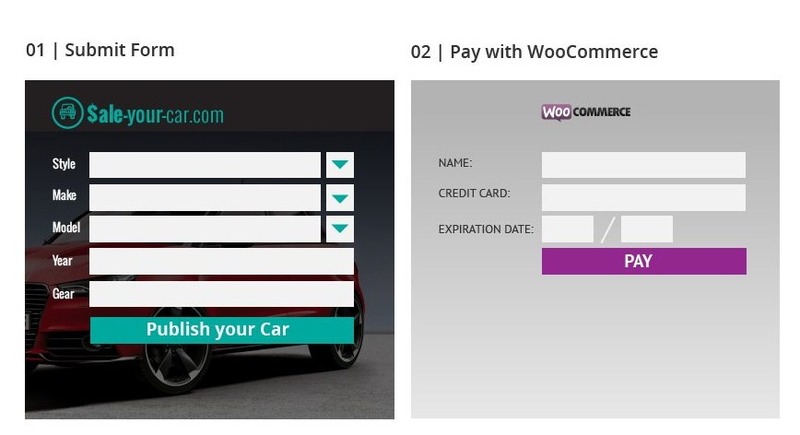 With Toolset’s CRED Commerce plugin, you can charge people on submitting the form via WooCommerce. CRED Commerce comes free in Toolset. No functionality of this sort is available in Formidable Pro. 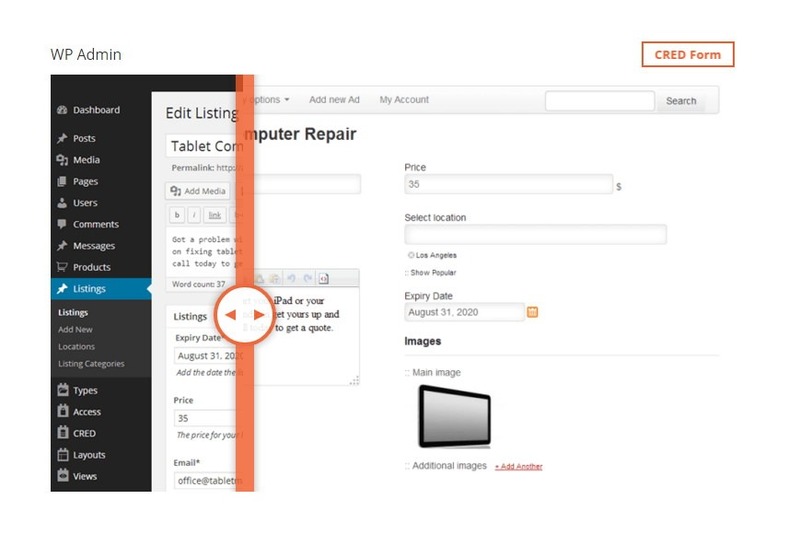 With Toolset’s WooCommerce Views, you can create custom product page structure. If it were not for Toolset, you'll have a hard time creating custom view for product page in WooCommerce. Formidable Pro doesn’t have this functionality. No other plugin offers so much complex layout creation. You can create columns and rows and then put other columns and rows inside them and then again put columns and rows inside them and so on. This way we can achieve a grid structure that is almost impossible to achieve in any other way. However, in starting, it may be difficult to understand how Layouts work. Layouts plugin offers a drag and drop dynamic layout builder. You can add a variety of content, from adding static content such as text, image, video and slider to advanced Views, custom fields, content templates, content sliders, WordPress menus, Widgets. With Layouts, you can create custom headers and footer designs also. Update – Now Layouts support frontend editing of content. Toolsets’ developer has been adding new functionalities in it. And this time they have launched a new extension of Toolset named Toolset Maps. With the help of this extension you can display your posts or any other kind of dynamic information on Google maps. Toolset is a bundle of WordPress plugins which work together to create database driven PHP applications without writing PHP code. Though Toolset is a utility to create PHP data management applications still you need to go through its documentation deeply to learn how its different options work and how to display, filter and edit content on frontend. Personally I think it is more powerful than Formidable Pro when it comes to data management. It is purely aimed at data management (it lacks drag and drop form builder), while on the other hand Formidable Pro is a drag and drop form builder that also strengthens data management functionality. Last but not least: which of the two is a beginner-friendly plugin? Toolset and Formidable Pro are very much the same thing in this respect. However, at Toolset, creation of advanced search filter is very easy and beginner-friendly. Toolset yearly license – $149 for first year and then $74.5/year = $894 total cost. And yet, You heavily emphasized the prohibitive cost of Formidable Pro. Seem like everything in this article was cherry-picked to slant towards toolset. Such obvious shilling discredits any journalistic reputation you might have aspired to. Well, whatever pays the rent I suppose. BTW: I have no affiliation with Formidable Forms, just saw your drive-by hit on them and thought I’d comment. I think you didn’t read the last line of the post. Toolset offers unlimited support and updates (+all current and future addons) for lifetime only for $299 (Toolset for Life). Now you can calculate which is more affordable. Formidable Pro licensing has been changed again. Now they offer unlimited site usage for lifetime at $399 (previously 200 sites). They have also introduced a new $99, three site license. Additionally $49 license with one year support is back again. good move. bad news (for new buyers of Formidable Pro) – lifetime free updates are no longer available (for new customers) for all licenses except Enterprise license. *free support is included for first year. ThumbsUp to Toolset Lifetime support. One more thing, here on webcusp.com I have always been absolutely honest and have never compromised my integrity. The evaluation of a product by Webcusp is solely based on the product’s merits and demerits. Formidable Pro has been from the very beginning my favorite and that is the reason that I always promote it. But sticking to my ‘policy of transparency’ an impartial verdict is that I do not think I like its pricing policy very much. In other words as far as pricing is concerned Toolset no doubt gets the better of Formidable Pro. I used both plugins… For general forms management I use Formidable Forms and simple views… But as stated here Toolset is much more powerful and as mentioned for $299 lifetime is a super good deal with unlimited site usage…. Ken H. comments “Such obvious shilling discredits any journalistic reputation you might have aspired to. Well, whatever pays the rent I suppose. were uncalled for.